Jason Koon just managed to score big at Triton Poker Super High Roller Series in Jeju. He grabbed a win in the Short Deck event for $2,840,945 and the Triton Refresh result for $973,306, making him jump all the way to #8 spot with $27,911,824, per the Hendon Mob database. Steve O'Dwyer has also been very active in the past few months - he managed to win $1,300,000 for finishing runner-up in the $25K MILLIONS World at the partypoker Caribbean Poker Party a few months ago. A few more cashes since then has O'Dwyer in 11th place at $26,820,595, right before Ivey. 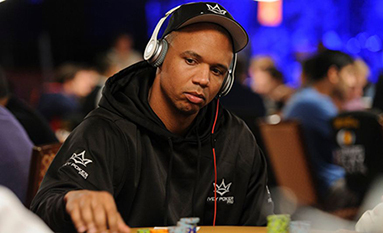 Meanwhile, Phil Ivey hasn't recorded a MTT tournament finished in cash for over eight full months, since his 547th place finish in the 2018 WSOP Main Event for $23,940. Phil now resides at 12th place of the list with $26,267,283. Pretty sick that Seidel is still in there. After all the crap Bonomo got for multi accounting, he has proven that he's really that good. I don't think the problem was that people doubted Bonomo's skill, it was just unethical to buyin and multitable the same tournament on different accounts.